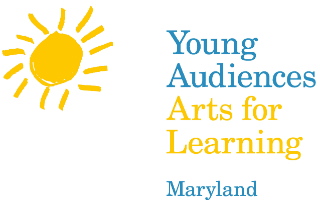 Young Audiences/Arts for Learning | Give a child the gift of joyful learning through the arts. Give a child the gift of joyful learning through the arts. Research shows that all children – and particularly children at risk of academic failure – are more likely to thrive in schools that make time for the arts. 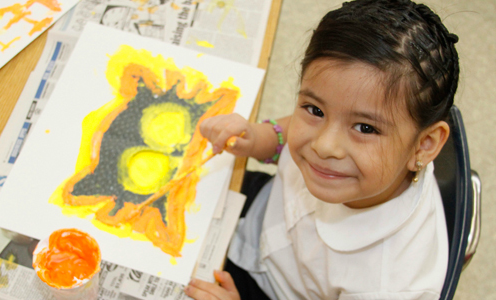 Your donation will provide high quality, in-school arts programs to over 190,000 Maryland students this year alone! ... provides 4 students with needed art materials. ... engages 63 students through an in-depth arts workshop. ... enables 20 students to take part in a short, arts-integrated assembly. ... inspires 250 students with a live, in-school artist performance. Donate 100% - Add 3% so that 100% of the donation goes to Young Audiences/Arts for Learning. Is this your first donation to Young Audiences? Young Audiences/Arts for Learning has partnered with Network for Good to securely process your online credit card payment via Network for Good (tax ID 68-0480736). This transaction will appear on your credit card statement as "Network for Good." This transaction is subject to Network for Good’s Privacy, Security & Disclosure Statement and the Charitable Solicitation Disclosure.